Sometimes people ask me which plane to build for a specific engine that they’ve had sitting unused. This is a good question, so I’ll try to come up with several recommendations for some of the more common engines that the average modeler may have lying around. 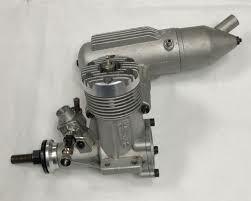 For decades OS was the premiere model engine manufacturer. Almost everybody had several OS engines, and OS made an engine for every application. In fact, they made many engines for every application. In the 1980s they created the FP series for ease of handling, fuel economy, purchase economy, easy maintenance, and of course dependability. The FP series was aimed at beginners. The 40 FP soon became the number one beginner’s engine, and just about everybody had one. But OS had a trick up their sleeve. The 40 FP was de-tuned a bit to make it easier to start as well as a bit less powerful. The official position of OS (and the conventional wisdom among the RC public) was that when you put your trainer away and graduate to a real man’s toy airplane you should buy an OS 40 SF, which is the sport/pattern engine that OS manufactured at the time. It had higher power, greater weight, and faster fuel burn. But the 40 FP is nevertheless quite a desirable choice for powering a sport model, because with a much lighter weight than the 40 SF it has a very respectable power to weight ratio. So look for something in the lighter end of the 40 range. Old timers: A 40 FP is the perfect engine for a Buzzard Bombshell. It will idle all day, it’s very lightweight, and the plane will climb like crazy when you want it to. I can get 20 minute flights on mine with a 3 ounce fuel tank. The Buzzard Bombshell has around 850 square inches of wing area and a target weight around 64 to 75 ounces. Any old timer with specs in this range would be a fine choice for the 40 FP. I have a short kit for a plane called the Commodore published in Model Aviation, which would also be a pretty good choice. Trainers: Any plane marketed as a “40 size trainer” is perfect for the 40 FP, provided that it’s kept within its spec weight. You can put a hot-rod 46 or more on a 40 size trainer, but the magic of the 40 FP comes from its light weight. When you add engine weight you increase wing loading, which increases turn radius, sink rate, etc. Try it light, and you’ll like it. And if you’re an experienced pilot trying to figure out what to do with an old 40 FP, don’t be afraid to try flying a trainer again. You’ll be amazed at how many bad habits you have. Teach yourself to land correctly, do coordinated turns, or try those weird maneuvers you always wanted to learn. Sport planes: If you’re a fan of old magazine plans, try a plane originally designed for a 30 size engine, such as the RCM Basic Bipe. Any plane that seems too big for a 25 and too small for a 40 will be about right for a 40 FP. Also, any plane that’s specifically designed to be very light, such as the Terrier or the Cloud Dancer, both of which I’ve flown very successfully with a 40 FP, will be suitable. Don’t weigh your lightweight Cloud Dancer down with a boat anchor engine. Also, keep your eye open for sport planes specifically designed for the 40 FP, because others have had the same thought in the past. Light and Up is a great example. The 40 Surpass is an enigmatic engine that’s not powerful enough for most 40 planes but too large for most 20 size planes. In that way it’s essentially just like a 40 FP. It weighs the same and has similar power output and fuel efficiency, and it’s easy and satisfying to run, just like the 40 FP. All of the above recommendations for the 40 FP can be applied to the 40 Surpass. Just make sure to select the correct propeller, because both of these modest engines will have trouble overcoming handicaps imposed by too much airplane and improper propeller selection. The OS 70 Surpass was a popular choice for 40 size war birds in the 90s and 00s. It is a similar size and weight to an average 60 2 stroke with muffler, and it has similar power output although it comes in a different RPM range. Because this engine was so popular 20 years ago, they come up for sale on ebay frequently. My top choices for the 70 Surpass are the Senior Telemaster, Cloud Dancer, Astro Hog, and any 60 size trainer. 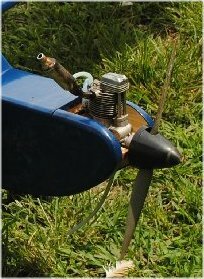 Some engine sizes have had many planes designed for them, especially 40 and 049. But after looking around for good 15 size designs I noticed that you have to go back to 1960 to find a variety of planes for your 15 engine. In the 1970s 15 size pylon racing was popular, so there are lots of pylon racers in the online plans archives. The Underdawg, Top Dawg, etc. come to mind. Other than that, it’s pretty slim pickings. One of my favorite engines is the OS 15 FP, and I’ve found a few really outstanding combinations. One is the Wicked Wanda. This is my top choice for an easy to fly, aerobatic, small model with a good glide. A 15 is also really good on a Baby Buzzard, Classmate Biplane, or Esquire. I even used a 15 on a Drake II seaplane. Just watch out for the Enya SS15 because the crank case is wider than average, and it’s somewhat heavy. I had to do a lot of digging to come up with these matches, so any of you guys out there who can suggest a good plane for a 15, send me a note. I’d like to hear more ideas, and I’d like to build some myself. 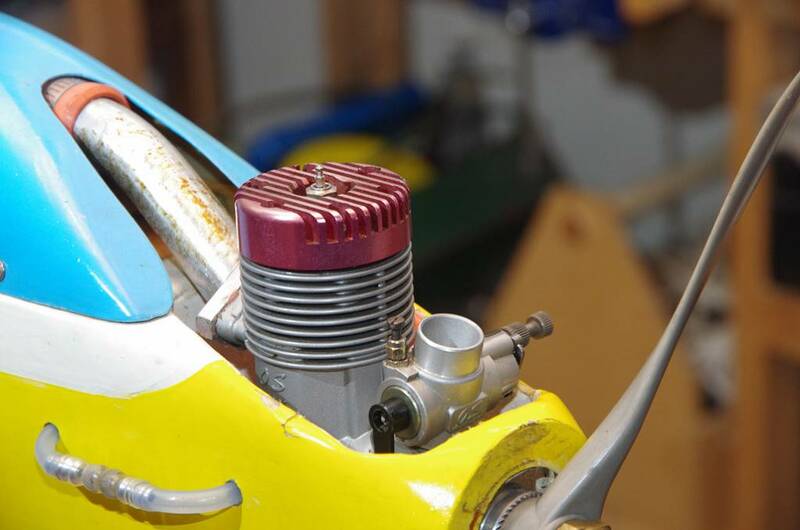 Everybody knows that the hot shot 60 engines were the standard for pattern competition for many years, and there are plenty of smooth flying aerobatic designs for this class of engine. For 20 years the RC magazines regularly featured construction articles and plans for 60 size pattern planes. I almost don’t want to name any because there are so many, but if you want to have a good time with a hot 60 engine, browse the old magazine plans for old pattern planes. 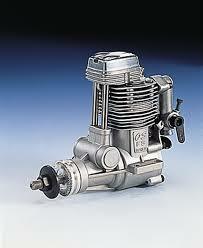 The most famous and lasting designs are the Super Kaos and the Kwik Fli. There were also several scale models made in 60 size of championship aerobatic planes such as the Extra, Lazer, etc. So that’s the aerobatic range from smooth as silk to wild and woolly. But what if you don’t care for a pattern plane, and you like to relax a little bit more than a top aerobatic scale model will allow? Somewhere in the middle is the Super Sportster 60, which is capable of all the aerobatic maneuvers, is easy to land, can slow down without tip stalling because of the thick constant chord wing, and looks more sporty than a pattern plane. It’s a classic design that everybody should build sooner or later. There are other great 60 size designs such as the Das Ugly Stik, which would be a lot of fun with a hot rod 60. But there are others that don’t seem quite as appropriate, such as the Cloud Dancer, Astro Hog, Telemaster, etc. Excessive speed can lead to control flutter and eventual destruction, so be careful to avoid overpowering the planes at the lower end of this size range unless you are a very good builder and know what you’re doing. If you have an engine lying around doing nothing and you can’t figure out what to put it on, send me an email. If I get enough questions about a specific engine I’ll see if I can come up with some good recommendations for this page. If you have a good plane suggestion, you can send it along, too.